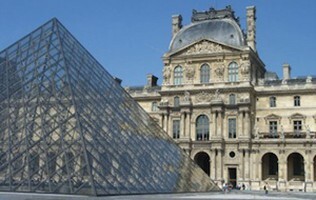 Uncover the secrets of France's royal court and the French revolution while you tour the extravagant Palace of Versailles and its legendary gardens on our Private guided tour. The Palace of Versailles is the quite possibly the most famous palace in the entire world and attracts millions of visitors each year from all over the globe. It’s lavish interior and stunning gardens are legendary, and have served as the home to the French monarchy for over one hundred years. On our guided private tour of Versailles, you will experience an unforgettable glimpse into the grandiose opulence of the French royal court. You’ll visit the King’s Suite, well known for it’s luxurious woodwork, paintings, and marble décor. 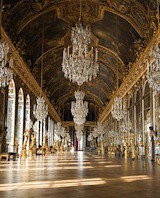 You’ll see where Louis XIV conducted his royal escapades and where Marie Antoinette hosted her lavish parties. Your private tour of Versailles also includes visits to the marvelous Grand Trianon and Petit Trianon, two of smaller (but equally lavish) palaces built by Louis the XIV for his family. You’ll explore the stunning gardens that are almost as striking as the palace itself on your private Versailles Tour. Created in the traditional royal style, Versailles’ gardens are filled with more than just lush fauna â€“ they are also full of exquisite marble and gold statues and lustrous fountains. The grandeur of the Palace of Versailles and its splendid gardens will undoubtedly be one of the highlights of your visit to France, sure to be unforgettable. 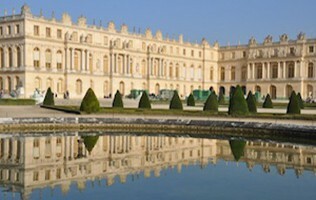 Don’t delay - book your Private Versailles Tour today!